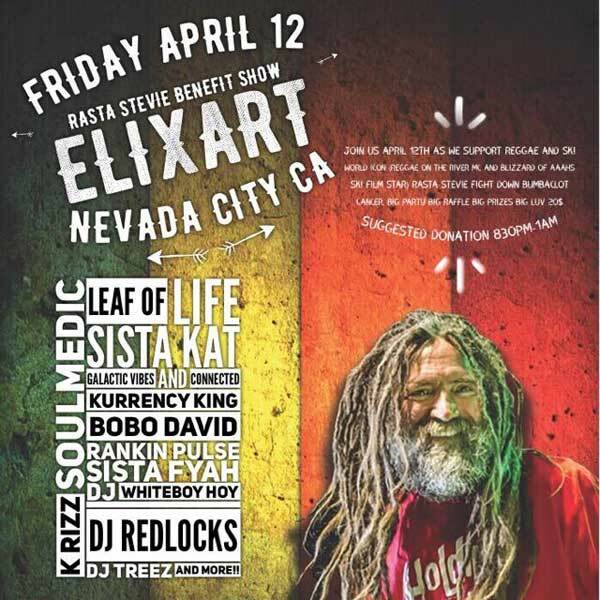 On Friday, April 12, join us as we support reggae and reggae icon of Reggae On the River and Blizzard of AAAHS Ski Film Star, Rasta Stevie fight down bumbaclot cancer. Big party, raffles, prizes. Suggested Donation. 8:30pm – 1am. Kurrency King, Bobo David, Rankin Pulse, Sista Fyah, DJ Whiteboy Hoy, DJ Redlocks, DJ Treez, K Rizz, Soul Medic, MORE!